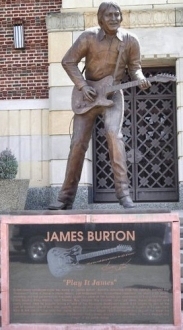 Sculptor Eric Kaposta, who also made the Elvis statue, said he used old photographs for the Burton likeness, which shows the Rock and Roll Hall of Fame member keeping time with the back of his left heel. 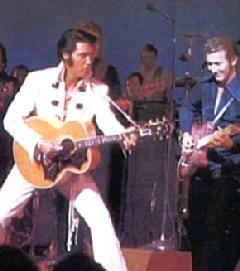 Burton remembered when he first played the Municipal Auditorium, in the mid-1950s. “I was 14 years old playing on that stage there,” he said, gesturing toward the auditorium. “I think of the friends I’ve known here and played with. It’s an honor.” Jeff Cook, lead guitarist for the band Alabama and now his own band, Jeff Cook & the Allstar Goodtime Band, said Burton helped influence his style. 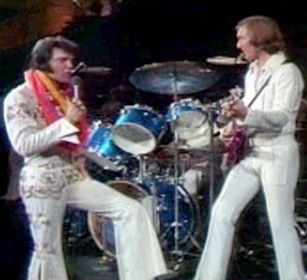 Cook was among performers at a sellout concert Saturday night in the Municipal Auditorium. Others included Brad Paisley, Steve Wariner, Dr. John, and Matthew and Gunnar Nelson, sons of the late Rick Nelson.